Are you in a hurry? Try some of these meals that are ready in less than 20 minutes. From Cajun Steak Tacos to Thai Green Curry to our super quick 10 Minute Chickpea & Spinach Curry, find the perfect recipe to get that meal quickly on the table! 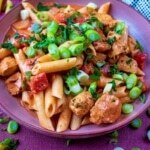 These meals will help you prepare meals in a flash! 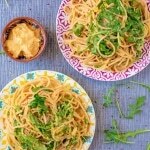 Spice up your usual creamy pasta dishes with a simple Cajun twist. This Cajun Chicken Pasta is ready in under 30 minutes and low in fat too thanks to using Quark to make a delicious creamy sauce. The perfect quick and easy weeknight meal, and a great way to celebrate National Quark Day too. 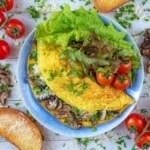 This Mushroom Omelette is a filling and protein packed meal, whether you have it for dinner or breakfast. 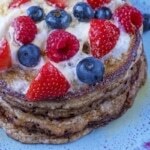 Low on calories, but high on taste, this is light enough for a post workout snack option too. 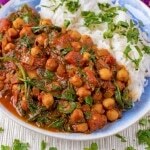 Curries don’t get much quicker and easier than this 10 Minute Chickpea and Spinach Curry. Just tip everything in to the pan and it’s ready less than 10 minutes later. Bursting with iron rich spinach and protein packed chickpeas, this curry is not only healthy, but delicious too. 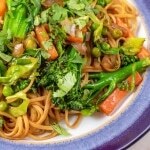 Save yourself some money and calories and make a super green and comforting noodle dish yourself. Chinese takeaway might feel like a good idea at the time, but it always makes me feel sluggish afterwards, whereas these Spring Green Noodles make me feel full of energy. An added bonus is they are ready in under 10 minutes too! 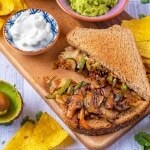 Spicy and crunchy vegetables are the star of this this Vegetable Fajita Grilled Cheese Sandwich. A great way to use leftovers and the perfect vegetable packed comfort food.